A James Bond opera has arrived in the Ottawa area. James Bond: A Convenient Lie is being performed at the Centerpointe Theatre in Nepean, Ontario. CBC Radio’s All in a Day program devoted a segment to the production. The opera is made possible by the fact that the James Bond character (at least the literary version) is now in the public domain in Canada. Already, new 007 stories have been published in the country. McDonald, in the CBC Radio segment, said people attending the opera needn’t have a detailed knowledge of 007 to enjoy the stage production. He said the opera retains, Bond, Moneypenny and Q. The opera concerns an eco-terrorist who Bond must stop. That, of course, is a plot familiar not only to Bond fans, but repeatedly used in spy entertainment in general. To hear the full radio segment, CLICK HERE. You can also view a story on the CBC’s website summarizing the segment by CLICKING HERE. Below is a video that teases the production. The new James Bond comic book published by Dynamite Entertainment will have some alternate covers, COMIC BOOK RESOURCES REPORTED. When he returns to comics this November, not only will 007’s new Dynamite Entertainment series be helmed by Warren Ellis and Jason Masters, it will feature an A-List roster of artists providing variant covers for the first issue. 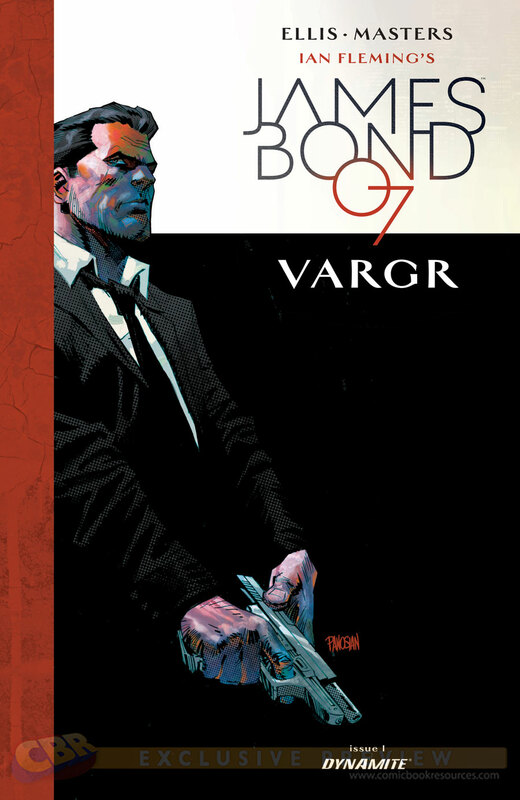 CBR News has the exclusive first look at the covers for “James Bond” #1, the first chapter of “VARGR,” a story that will find the world-famous secret agent fighting for his life in the wake of another 00 agent’s demise. Illustrated by Dom Reardon, Jock, Gabriel Hardman, Stephen Mooney, Dan Panosian, Francesco Francavilla, and Glenn Fabry, the covers call back to the character’s pulp roots. “Variant,” or alternate, covers are a way to entice buyers of comic books to purchase multiple copies of the same issue. James Bond will provide the climax for “The Year of the Spy.” In September, the new 007 continuation novel, Trigger Mortis, is scheduled to be published as well as a collection of unauthorized Bond stories in Canada, where Ian Fleming’s original literary stories are in the public domain. SPECTRE, the 24th James Bond film, will debut in the U.K. in October and in the U.S. on Nov. 6. To see the Comic Book Resources story, CLICK HERE. Canada may change its copyright laws as part of trade negotiations, which could squelch publication of new, unauthorized James Bond stories. Here’s an excerpt from a Feb. 7 story in THE HUFFINGTON POST. The U.S.’s controversial “Mickey Mouse Protection Act” — the name given by critics to a particularly strong copyright term law — may be coming to Canada thanks to a new trade deal. There’s plenty we don’t know about what’s been agreed to in the negotiations over the Trans-Pacific Partnership, largely because of a monolithic veil of secrecy surrounding the talks (although many of Canada’s lobbyists have reportedly been given access). But according to a news brief from Japan’s NHK, negotiators working on the 12-country TPP trade area have come to an agreement on the copyright chapter of the trade deal. Under the agreement, copyright terms would be extended to the life of the creator plus 70 years. You can view view the NHK item BY CLICKING HERE. It’s short and vague, referring to how trade negotiators “are a step closer” to change. The literary 007 is controlled by Ian Fleming Publications, managed by the heirs of James Bond creator Ian Fleming. In Canada, the literary Bond entered public domain on Jan. 1. Under copyright law there, protection lasts 50 years after the author’s death. That prompted the announcement of AN UNAUTHORIZED ANTHOLOGY OF JAMES BOND STORIES CALLED LICENCE EXPIRED to be published in that country. The copyright law may endanger that project. 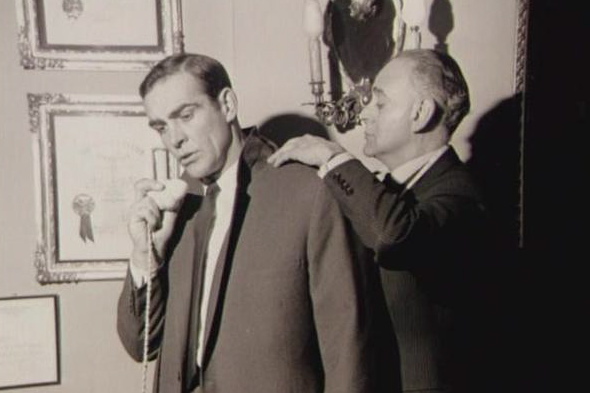 For more, you can view THIS STORY on the MI6 James Bond website. A couple of questions, though, to keep in mind: If Canada changes its copyright laws, when would it take effect? (Immediately? Some future date?) Depending on that answer, is still possible the unauthorized Bond stories could see print before the law changes? If the answer to that question is yes, the anthology could become a bit of a Bond collector’s item. The literary James Bond — at least the original Ian Fleming stories — is now public domain in Canada, 50 years after the death of the author. Thus, a new 007 anthology book is being published in that country that’s not commissioned by Ian Fleming Publications. Earlier this month, the Io9 website HAD A POST explaining what this means. The literary Bond still is under IFP copyright in the United States and the European Union (it’s the author’s life plus 70 years). But, in Canada, you can write and publish a James Bond story. Licenced Expired is due out in November. Its publication comes as IFP is preparing a new continuation 007 novel by Anthony Horowitz scheduled to debut in September. Licenced Expired, of course, will have more limited distribution. For more details, you can view posts in THE DEVIL’S EXERCISE YARD and BOINGBOING. UPDATE (Jan. 22): THE BOOK BOND website passed along the URL of A POST BY MADELINE ASHBY, one of the co-editors of this venture.